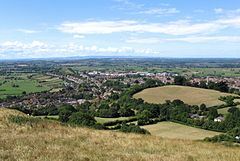 Glastonbury /ˈɡlæstənbri/ is a toun an ceevil pairish in Somerset, Ingland, situatit at a dry pynt on the law-lyin Somerset Levels, 23 miles (37 km) sooth o Bristol. 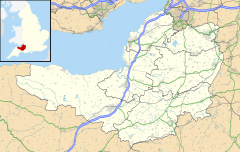 ↑ UK Census (2011). "Local Area Report – Glastonbury Parish (1170218013)". Nomis. Office for National Statistics. Retrieved 11 March 2018. This page wis last eeditit on 28 Mairch 2018, at 04:24.